Welcome to Canada! Registries Plus offers service in 19 languages. No matter where you are from, we know how to help you get licenced to drive in Canada. The process of exchanging an out of country driver’s license depends upon the country your licence was issued in. Australia, Austria, Belgium, France, Germany, Isle of Man, Japan, Republic of Korea, Switzerland, Taiwan, United Kingdom (England, Northern Ireland, Scotland and Wales) and the United States have reciprocal agreements with Alberta. If you have the equivalent of a Class 5 license from any of the above countries, you may exchange it in our office without any testing or waiting period. You will need to provide documentation to confirm residence and legal status in Canada. The license you are exchanging must be surrendered and will be forwarded to the Special Investigations Unit for authentication. Please understand that you will not get this license back. You will receive an interim (paper) license and the actual license will arrive in the mail in about two weeks. If you wish to exchange your Out of Country licence for an Alberta Driver’s License, you will need to surrender your license and go through the GDL Exemption process. 1. Visit Registries Plus with your Out of Country license. If the license is not in English, you will need to provide a certified translation. 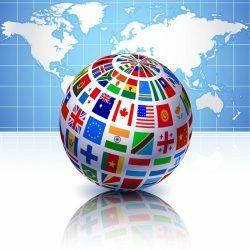 We can provide a reasonably-priced document translation for certain languages including French, Spanish, Arabic, Polish, Bosnian, Croatian and Serbian. 2. Bring documents to support your Legal Status in Canada and Alberta Residency. 3. Take the Class 7 Knowledge Test. The test is available in English, Arabic, Chinese (Traditional), Farsi, French, Hindi, Punjabi, Spanish, Tagalog (Philippines), and Vietnamese. We recommend that you purchase a Driver’s Guide in the language you wish to take the test. The cost is the same for any language – $17.60. The test is also available in English Audio, at a cost of $31.25. If you need to take the test with the assistance of a translator, we don’t provide this service but we may be able to refer you to a reasonably-priced translator who is certified to offer this service. Translators must have a TIN, which is a number provided by Transportation indicating that the translator is authorized to perform this service. Unfortunately, we cannot allow people who don’t have a TIN to talk to anyone who is taking the test, so please don’t bring a friend of family member to translate for you. 4. Wait approximately two weeks for the Special Investigations Unit to authenticate your documents. When they have determined that the documents are authentic, they will update your motor vehicle file with the number of years of driving experience that you are being credited. In some cases, the driver’s license doesn’t provide enough information about date first licenced (DFL) for them to credit you with any years of driving experience. They may need you to contact the jurisdiction which issued the licence for a letter confirming the date first licensed. 5. Depending on SIU’s determination, you may be eligible for either the Basic Road Test or the Advanced Road Test. If you are eligible for the Advanced Road Test, you can still opt to take the Basic Road Test. If at any point in the future you choose to upgrade, you can take the Advanced Road Test. 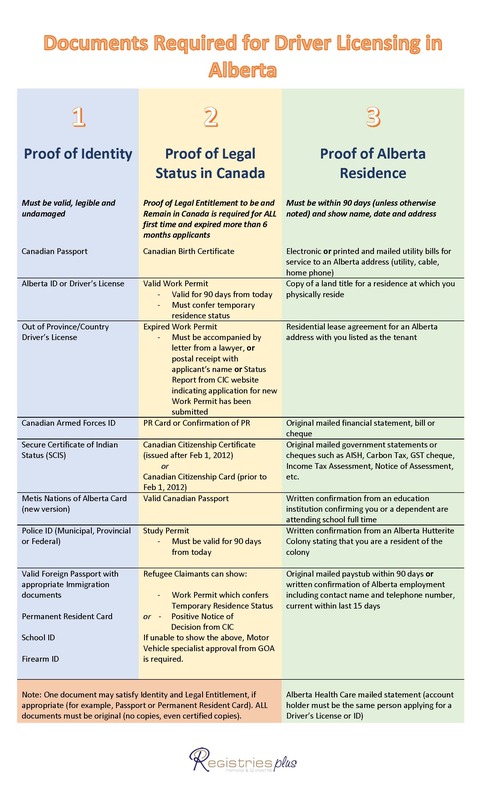 For more information on Out of Country Driver’s Licenses and Reciprocal/Non-Reciprocal Licensing, please see the Alberta Transportation website. Welcome to Canada! Did you know that we can provide service in 17 languages? We sell driver's guides in seven languages: Amharic, Arabic, Chinese, Hindi, Punjabi, Spanish and Vietnamese. We process Alberta Health Care onsite. There is no cost to you - make sure you and your family is covered!